Okay, so you don’t know what to do? You’re new to the whole Military Life thing and you need friends. 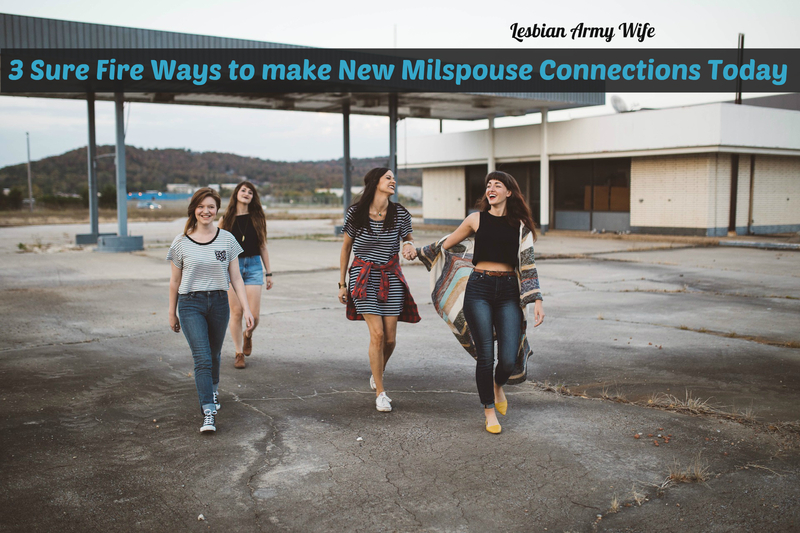 You don’t know where to start connecting and meeting New Milspouse‘s in your area. Life doesn’t always mimic TV Shows or Movies on Netflix or Hulu, where it seems easy and effortless to make friends appear out of thin air. Life is real. Bills have to be paid, dinner might be burning in the background, your cute lovable dog might be chewing up your couch or your kids might be screaming or fighting and to top it all off your spouse may be deployed again. 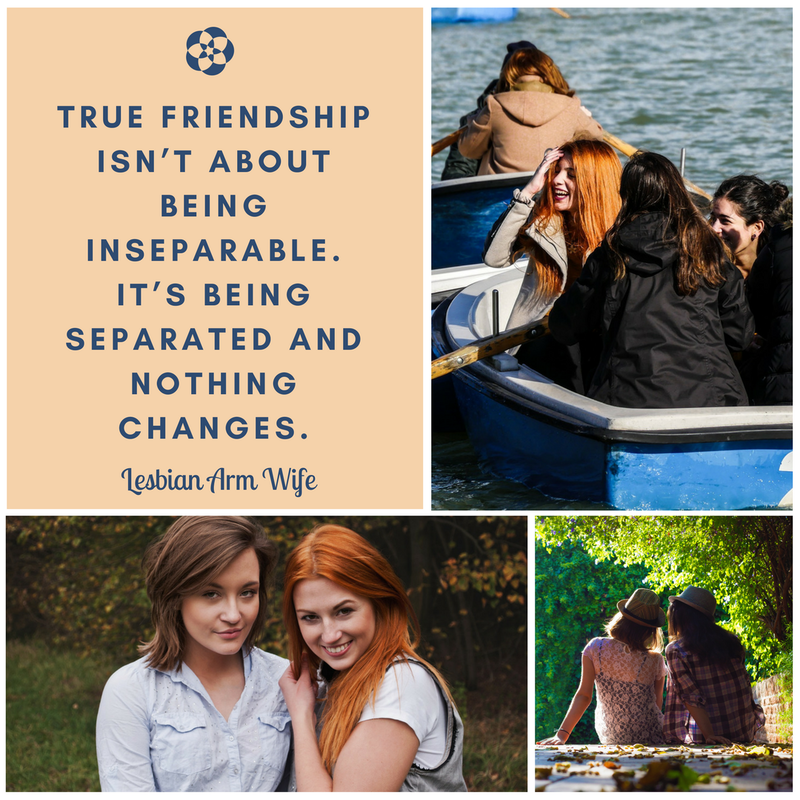 As Military Spouses we need to let go of the perfect TV and Movie fantasies of finding friends. It’s easy to get caught up in our life and not think about our social well-being in a new environment. We need friends in our life’s, however friends don’t always just appear easily. A friendship has to be cultivated and nurtured as in any other relationship you make. No matter how strong you think you are having friends is a must and one of the greatest gifts besides no one wants to go it alone. A good friend is always there through thick and thin. What is on Online Community? There is nothing to an Online Community than people with similar backgrounds and interests sharing with one another. Now, that you know what an Online Community is, you can dive off the cliff edge and begin interacting. I have listed a few Military Spouse Online communities to help get you ahead of the game. This is a one of a kind online community complete with a Free App for Apple IPhone’s and IPads (Android App coming next year) so you can stay connected to all the new Milspouse friends you make. This online community was created to support and help develop interactions with between Milspouses and gives you the opportunity to network with other Military Spouses in your Area. Is a great online community that was created my Military Veterans who wanted to provide services and information for Military Families. There are tons of blogs and websites out there for you to use in the wide open internet ocean to research and get to know others. Commenting on articles or posts that capture your attention is a great way to begin developing connections. The great thing is there is probably someone out there waiting to talk just like you. A friendship in the making could be a comment post away or resource link away. National Military Family Association – Together we are stronger! ( Free App Alert) check it out today. Operation: We Are Here – Resources for the Military Community and Military Supporters. Homefront United Network – This is a place for you to gain resources, vent, support others and celebrate our lives as military spouses, family and friends. Our real-life stories are shared in hopes of connecting you with others. Why should Military Spouses use social to connect with other spouses? We live in a digital age why not take the advantage to make new friends online. We have all the resources right at our finger tips. Here is a basic break down of social media sites to help you see how wonderful and easy making New Milspouse friends can be. You do need to put yourself out there a little on social media sites make it connections. My suggestion is to start liking Milspouse pages and join Facebook Groups that you are drawn to. Articles will be posted and you can like them and you will gravitate towards others with similar interests as you.Here is an article I found about Facebook Groups by Kathryn Sneed Blog Author of Singing Through the Rain. I am still trying to figure my way through Instagram (I kind of don’t get it, maybe because I don’t want to share my life through pictures with everyone) but here are two great articles about what Milspouse Accounts you should follow. I just love Pinterest because you can add pins and save them to boards. Basically, Pinterest is a picture gallery that links you to other websites, articles, DIY projects, ideas, and anything else you can think of. The great thing about it is you can do it quickly whenever you want and you can always go back to things you saved later when you have more time to review your pins. I also love twitter, another wonderful social media outlet, that can connect you with others using only 140 characters. Its quick and fast, not to mention you can get to the meat and potato of topics or issues you are passion about. A Tweet can become an organic way to develop new connections. Someone might Re-tweet your Tweet or like something you Re-Tweeted and boom there’s your new friendship lead. 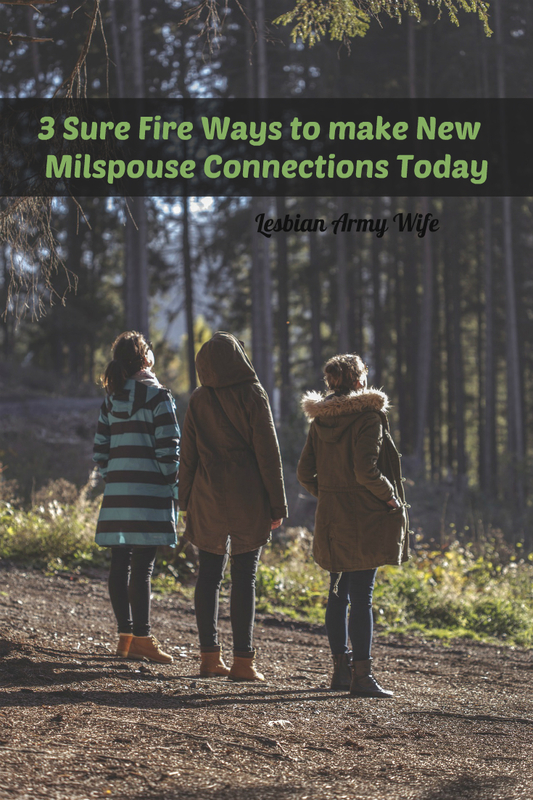 Depending on the outcome of what you seek or find online a new Milspouse connection can and will develop into friendship, even if you live somewhere completely different. There are six magic words that make friendships happen. And it doesn’t matter whether the friendships are online or face-to-face. These six words are: “What can I do for you?” Now, hold your head up high and begin making those new milspouse connections and friends today! How do you make New Military Spouse Connections in your area? Share your thoughts leave a comment. What month is it? Happiness Happens Month? Thanks for the shout out! Would you ever consider guest posting for us? If you’re interested – let’s chat! Blog@MilitaryFamily.org! Aww thanks! I would love to do a guest post for you!